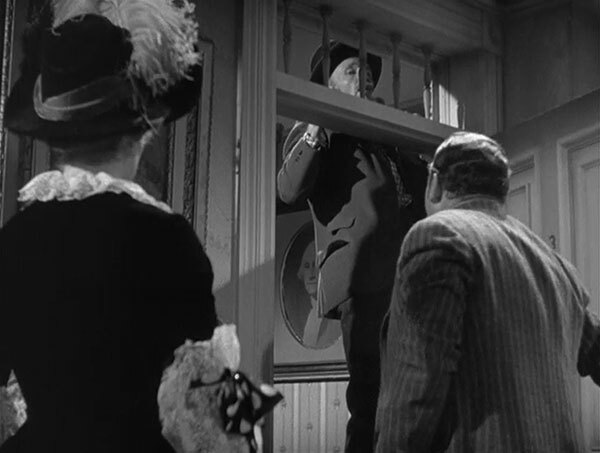 My knowledge of this one going in was limited to the fact that Walter Brennan won the very first Best Supporting Actor Oscar for it – thank you, high school-era Oscar obsession! When I realized it was based on an Edna Ferber novel, I had a bit more idea what to expect, as I’m familiar with several other Ferber books and their film adaptations, and they generally have a few things in common: sprawling, multi-generational stories featuring self-made Americans in some particular 19th century-specific profession. Cimarron is about pioneers entering the Oklahoma territory, Show Boat is about performers and gamblers on Mississippi River show boats, So Big about a teacher/farmer in an Illinois Dutch community, and Come and Get It is about a logger/paper mill magnate. Multi-generational stories tend not to be my favorite thing, but I can be persuaded. Generally I prefer the earlier parts of these stories the best, before they move on to the second generation, and that’s the case here. 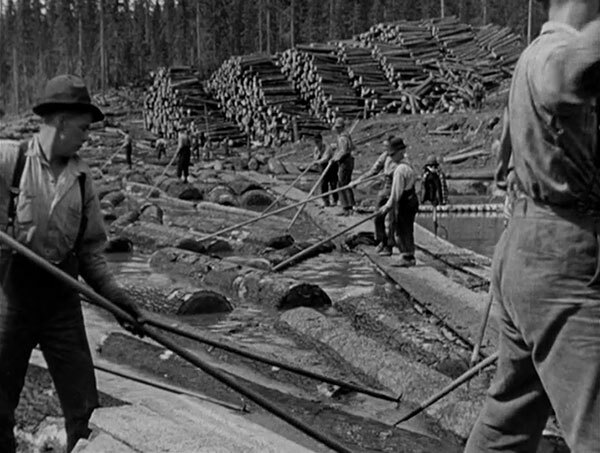 In the first half of the story, Barney Glasgow (Edward Arnold) is a go-getter young businessman who gets his hands dirty with his logging crew, pushing for more productivity, but also right there pushing the timber into the river for transport, hanging out in the saloon after the work is done, etc. 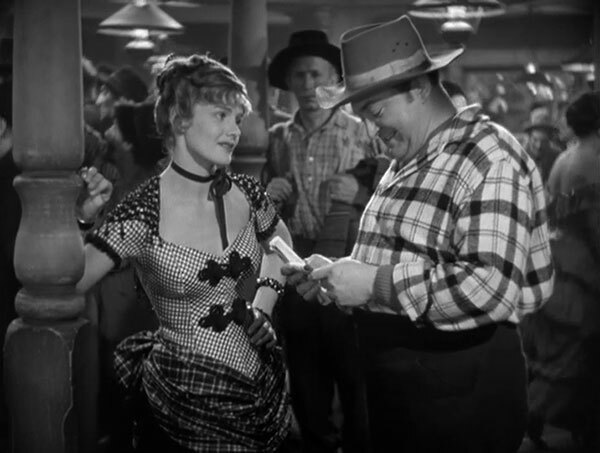 He meets and quickly falls for the saloon singer Lotta (Frances Farmer), but opts to marry his intended back east and continue his rise to the top of the business. All of these scenes have a lot of vitality and humor, capturing the scope of the frontier and the kind of men (and women) who made their way in it. I’m a big fan of westerns in general, so I loved that stuff, even if the attempt to point out how devastating over-logging is to the land kind of fell flat against the epic visuals of logs being transported and processed. Flashforward some 23 years later, and Barney is 50 now, the top paper mill magnate, with two kids (Joel McCrea and Andrea Leeds) poised to carry on the business and marry well for the family. I don’t want to go into too much detail about the second half of the film, but it involves Barney meeting and falling for Lotta’s daughter, which obviously gets a little…squicky. 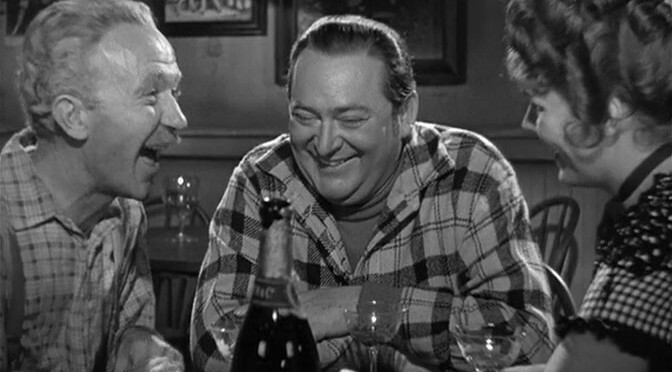 Frances Farmer plays both parts, so it’s easy to see Barney’s regret over his lost love manifesting like this, but dude. Really. It also shows how virulent and youthful he still sees himself (it doesn’t feel like a midlife crisis so much as just a man who’s never noticed going over the hill), and the end is legitimately emotional thanks to Arnold’s surprisingly sensitive performance. 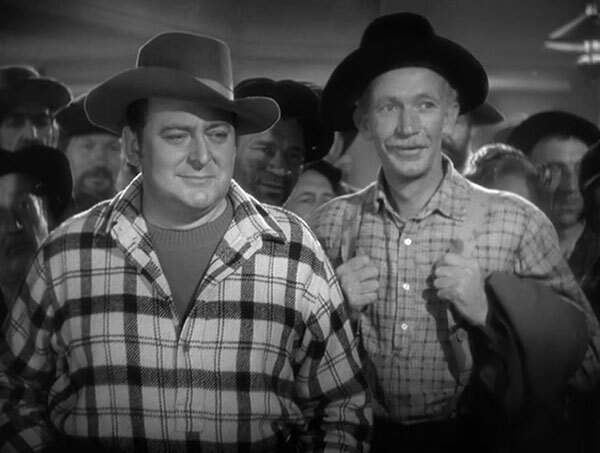 Speaking of performances, Walter Brennan as Barney’s best friend Swan Bostrom. I haven’t mentioned him yet because I wanted to give him his own paragraph. 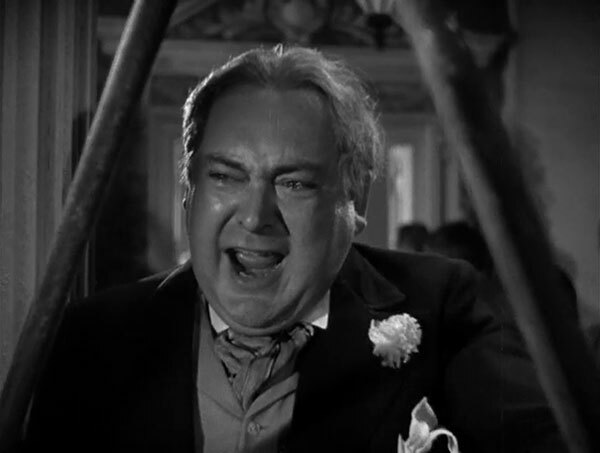 His entrance is running onscreen and leaping into Edward Arnold’s arms in joy, and it is unexpected and awesome and hilarious. He remains MVP of the film through most of its running time, though his screen time also lessens in the second half (potentially part of why it gets less interesting). 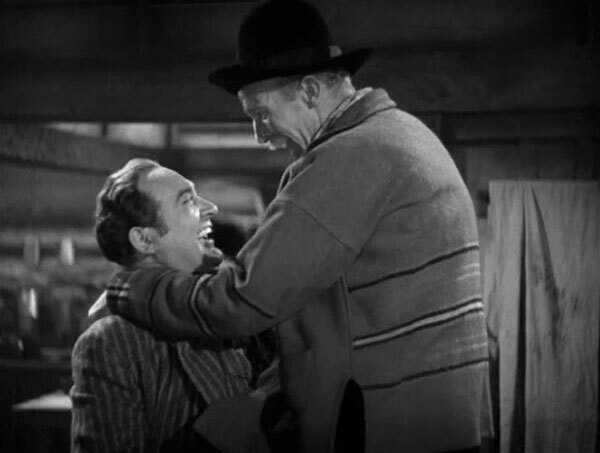 My other favorite scene with him is when he’s trying to tell Lotta how much he likes the song she sang at the saloon, but can’t get a word in edgewise – doesn’t stop him from trying repeatedly and hilariously, though! 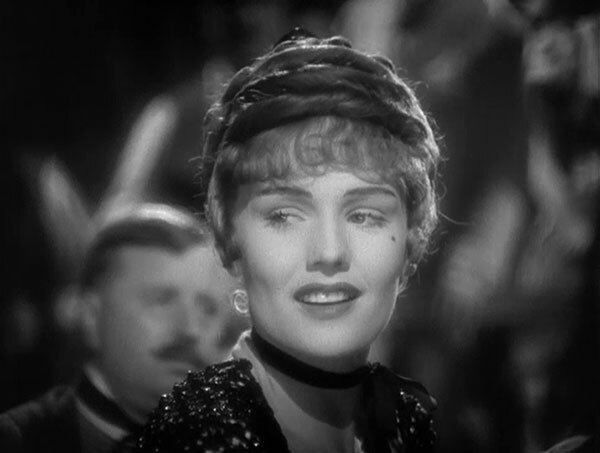 Meanwhile, Frances Farmer also impresses in her dual role – again, much more fun in the first half as the saloon singer. She’s got a dusky voice with a slight lisp that is unbelievably fetching. It’s really a shame that Farmer’s off-screen issues with mental health both cut short and overshadowed her acting career, because she’s really special in the few films I’ve seen her in, and never more so than here. I had to look up a bit about the production of the film, since it’s odd for directors like Howard Hawks and William Wyler to share credit. 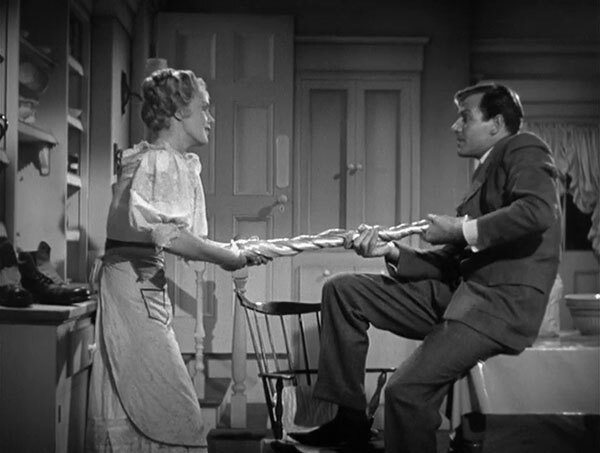 Indeed, Hawks started off directing and completed most of the first half, after drastically changing the tone of the original novel (with the help of co-screenwriter Jules Furthman) to focus more on the early love triangle involving Barney, Swan, and the elder Lotta, as well as presumably the logging profession itself, given Hawks’ interest in male bonding in hearty professions. The original novel was more about the way “robber barons” like Barney destroyed whole swaths of American country – an indictment that appears strongly in the film’s opening scroll but then is almost completely abandoned. 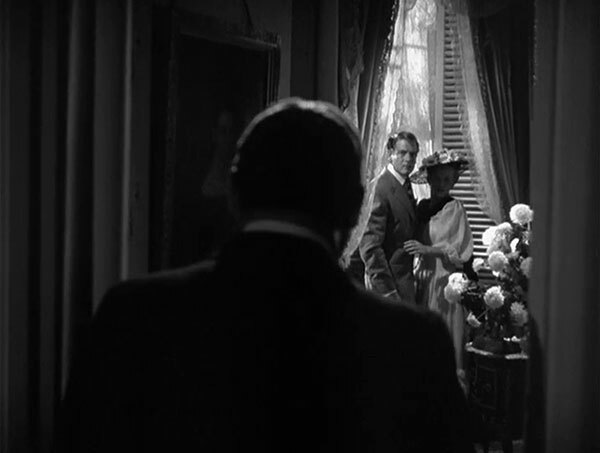 When producer Sam Goldwyn, who had been laid up with illness, found out what Hawks had done, he fired him and brought Wyler on board, and Wyler did most of the last section. This makes so much sense, and explains why the tone shifts so drastically between the two halves. I’m also not surprised that I preferred the Hawks section, though I do like Wyler a lot as well. Hawks is just more FUN. Final ranking #686 out of 3593 films on my chart (81st percentile). It is now my #8 Howard Hawks film, my #8 William Wyler film (yes, same for both, how wild is that? 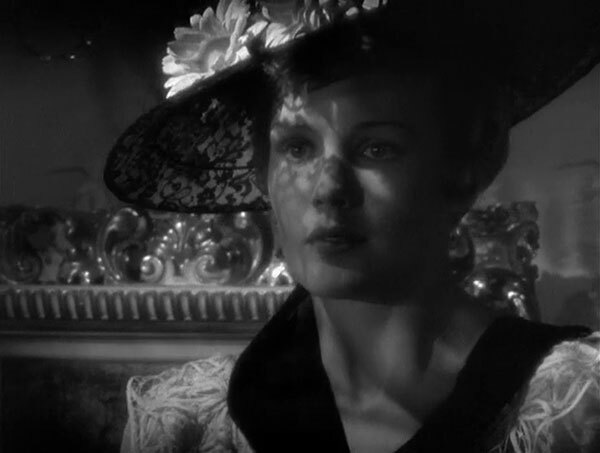 ), my #25 Melodrama, my #2 Edward Arnold film, my #4 Joel McCrea film, my #1 Frances Farmer film, and my #8 film of 1935. Come and Get It was recommended by Matthew Price, a friend from Row Three and cohost of the fabulous Mamo! podcast. Averaging together this #686 ranking with my #565 ranking of his other film, The Good Fairy, gives Matt an average ranking of 625. Opening scroll: They [the paper mill bosses] hacked and tore and gouged and schemed and took and took and never replaced…one of these pirates was Barney Glasgow. Swan Bostrom: [repeated phrase] Yumping Yimini! Barney Glasgow: Who wouldn’t pick up a million dollars lying at their feet yelling “come and get it”? Barney Glasgow: So you’re not lucky? Lotta Morgan: Would I be here if I was? Lotta Morgan: [sarcastic] Men are swell, ain’t they? Barney Glasgow: What do you expect with a lot of radicals in Washington? Next thing you know they’ll be passing a law taxing us on the money we earn. Swan Bostrom: She always say, “someday Barney come back and see us.” But you never come. Lotta Bostrom: You and Pa have been dumb all your lives. You never make plans or anything, you just let things happen to you. Well, I’m not going to be like that. I have an idea of how I want things to be and I’m going to fix it so I can get them, okay? Barney Glasgow: You’ve got other things to do than go around with the mill-hand’s daughter. Richard Glasgow: You go down there. Barney Glasgow: That’s different. I go to see my old friend Swan. Richard Glasgow: In a pig’s eye you do. Evvie Glasgow: I don’t want to marry him just because he has a paper cup. Lotta Bostrom: He’s your father, he’s an old man. Mrs. Glasgow: Perhaps even you can’t have everything you want. Barney Glasgow: [final lines] Come and get it!